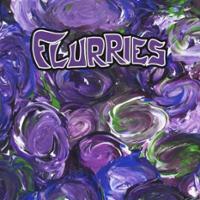 Another progressive rock band to come out of the Pacific Northwest is Flurries. They play mostly in the traditional AOR prog fashion with a very 80s approach, especially in the vocal department. It’s done in that romantic, classy sort of way, but not stuck in that era. This is more modern than the 80s were back then, if that makes sense. It's not all club rock, but some of it is — because you can dance to it, but don't have to. But the guitars are hot as well as the keyboards and beats. They consist of Michael Johnson who writes all the music and plays bass/keys/piano, along with drums by Christian Cochran, and Stephen Hawkes on guitar — who produced this disc as well — and Davin Carten on additional guitars. It's a brat band with Michael Johnson totally leading the way on this very satisfying release. And with the recent addition of Elijah Johnson who replaced Stephen Hawkes, their future holds a lot of promise. This is a killer band. This gets right down to what this band is all about, without wasting a second. It opens with a great keyboard motif that comes and goes as the vocals instantly establish their evidently unique originality and awesomeness. They go right into this without hesitation, as if it were part two. That’s an instant prog factor, which continues throughout the disc like one long playing song. This gets into everything from slow and classy romantic vibes to industrial club rock. They sound just like they do in concert on this. I love this song as much as anything on here, and being new to them, I bet their fans do, too. The ace picks way up here as I'm reminded here on the backing track of bands like Berlin and quite a few others, but it's still totally original. This is killer! This is one of the best tracks on the disc and really shows how good Michael Johnson is. This is an elegant ballad — a pretty epic one at that — and one of the best all-round tracks on offer with some fantastic guitar work. This might not do much for the next person, but it really grabs me. It's progressive rock for sure at this point. 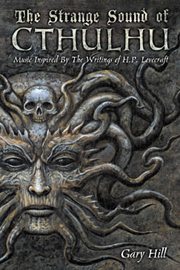 And there’s no turning back with this spacey instrumental number. I like this one, too. It's probably the most accessible tune of them all here, really, as they go way back into AOR mode, but keep some aggressive guitar and percussion. This is another of the best on offer. They go back into a long playing ballad, which has all kinds of sweet piano parts to it and lovely vocals, too. By now it's obvious this is a great disc. This is another well-paced, spacey rock number that's actually one of the high points. It's a long tune with some of the best progressive rock factors to it, as well as some of the most soothing melodic sounds. The last is certainly not the worst here, by any means.